Wilson’s writings and speeches had a significant impact on the deliberations that produced the cornerstone documents of our democracy. Wilson’s signal contribution to the founding of our national government was his advocacy for both a strong national government and an open and democratic political system, a position that set him apart from both Alexander Hamilton and Thomas Jefferson. 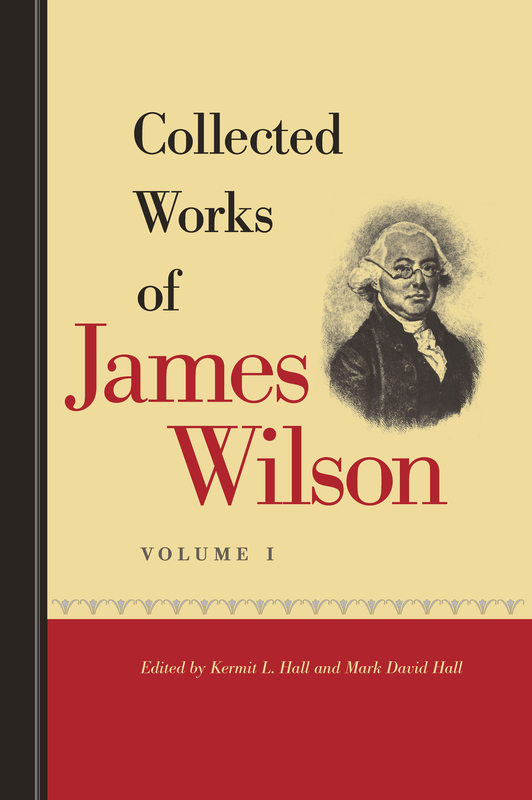 James Wilson (1742–1798) emigrated from Scotland in 1765 and was one of the major architects of the American judicial system. Kermit L. Hall (1944–2006) was the President of the State University of New York at Albany as well as Professor of History at the same institution. Maynard Garrison is a retired attorney. He received his law degree from Stanford University.